How often do you clear your cache? Cache is used by your internet browser to decrease load times by storing the page and its files temporarily. This means that when you visit the same page for a second time, the browser speeds up display time by loading the page using your locally stored cache, rather than downloading everything again. While this is a helpful process for faster page loading times, in some instances it may actually be remembering a previous error that has occurred which has since been resovled. Your cache may be showing you the previously saved version of the web page, as saved within your computer. You've performed the forced refresh, and you still can't see the changes or are still receiving the same error, the next step is to clear your cache manually. 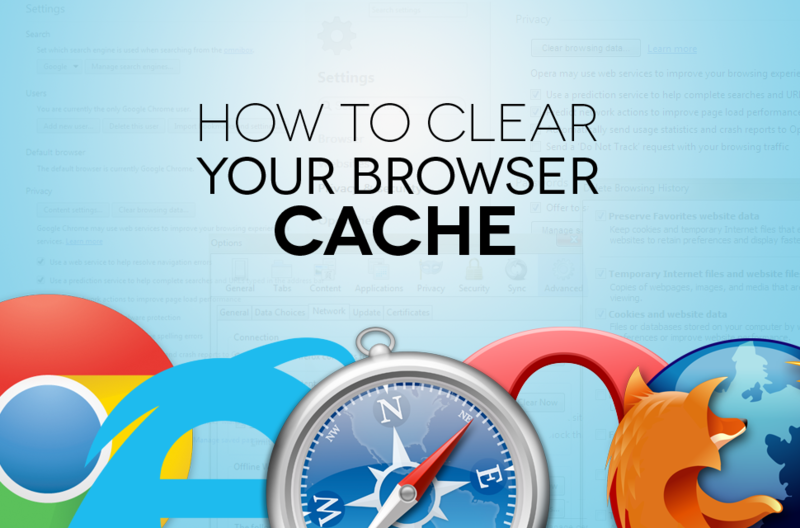 Each browser has different steps to clearing the cache, with Chrome, Firefox, Internet Explorer and Safari outlined below. Your browser must be configured to accept third-party cookies to avoid issues with accessing the ResOnline pages. Please follow the browser-specific instructions below to enable third-party cookies. Next to "Cookies," switch the setting on. To allow third-party cookies, check the box next to "Allow third-party cookies."